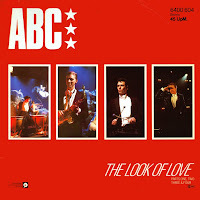 After the debut single 'Tears are not enough' and the hit single 'Poison arrow', ABC released 'The look of love'. The 12" single featured four parts of the track: part 1 is the standard album version, part 2 is an instrumental version, part 3 is a vocal remix and part 4 is a short acoustic instrumental part of the song, containing strings and horns, as well as occasional harp plucks and xylophone. 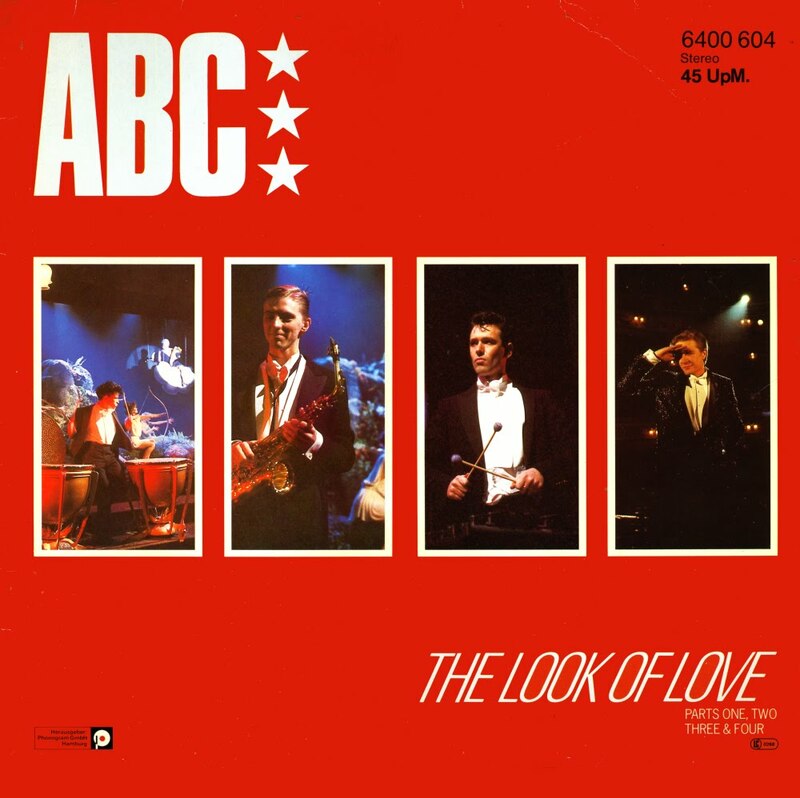 Parts 1 and 4 appear on ABC's debut album 'The lexicon of love'. Another remix was made by Trevor Horn and released exclusively on an American 12" single. That remix was finally released in the UK as a free single with 'Be near me' in 1985. 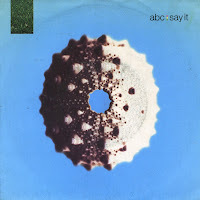 'Say it' was the second single release from ABC's 1992 album 'Abracadabra'. The track was remixed by the people behind the house group Black Box. The single reached number 42 in the UK singles chart, but remained virtually unknown in the rest of the world. 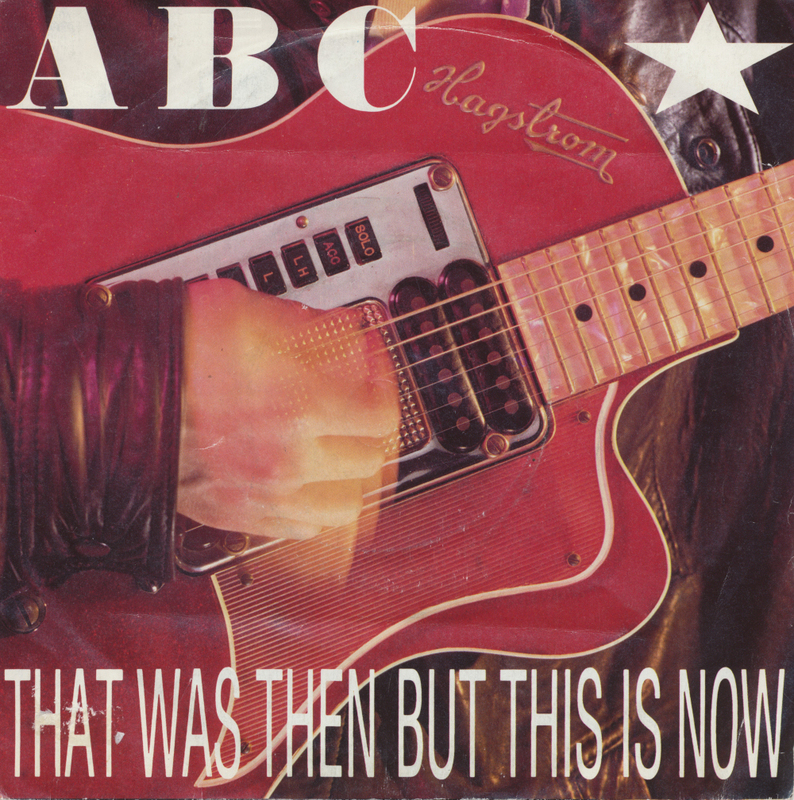 After the release of the compilation album 'Absolutely' in 1990, ABC moved to a new record company and started recording their sixth studio album 'Abracadabra'. Just like with all previous albums, they radically changed their sound. This time, they opted for early Nineties techno sounds with a rather unemotional, distanced production. 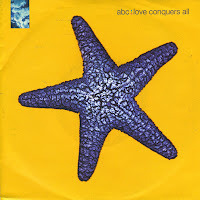 The first single from the album was 'Love conquers all', which was received without much enthusiasm. It reached number 47 in the UK singles chart, but flopped everywhere else. 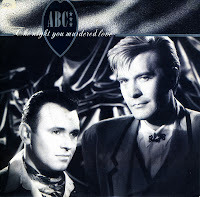 'The night you murdered love' was the second single from ABC's 1987 album 'Alphabet City'. 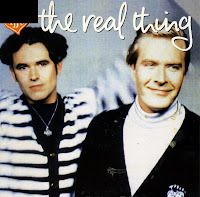 The track featured a more modern sound for the band, including some catchy vocals by band leader Martin Fry. The single peaked at number 31 in the UK singles chart and number 10 in the Dutch Top 40. 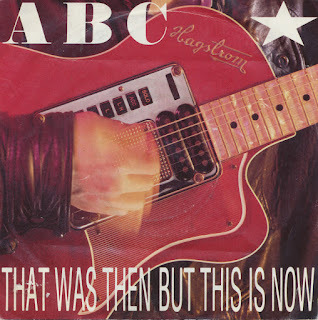 This is one ABC single I never bought, not because I didn't like the track but more because it was played on the radio so often back in 1987. I never really felt the need to own this single - until now, that is. 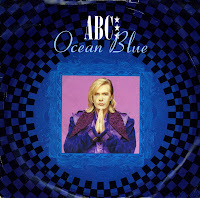 'Ocean blue' was released as the fourth single from ABC's 1984 album 'How to be a zillionaire'. The single version was very different from the album version, featuring a richer, fuller sound. The B-side was the album track 'Tower of London', a tribute to the landmark in the UK's capital. The single stalled at number 51 in the UK singles chart during its three week chart run. Here's another ill-advised remix version of a classic. When ABC released their compilation album 'Absolutely' in 1990, the record company decided to promote it with a so-called '1990 mix' of 'The look of love', one of the band's biggest and most cherished hits from 1982. The track sounded very 1990, but it also sounded very crap, unfortunately. This single was rewarded appropriately with a one week chart run at number 68 in the UK singles chart. Some would say this was even too much, but you know... a fan has to have everything. Even crap singles. Adding insult to injury, ABC released a second single from their disappointing fifth album 'Up' (1989). This second single performed even worse in the charts than 'One better world', peaking at number 68 in the UK singles chart. After this single, the record company quickly released a compilation album, and must have felt some relief to see an end to the recording contract with the band. Fortunately, further releases were better than 'Up', which despite its title was the lowpoint of their career. After ABC's success with their fourth album 'Alphabet city', Martin Fry and Mark White started experimenting with the hype of the year, house music. Released in 1989, their album 'Up' was their lowest charting album to that point, reaching number 57 during a one week chart run. 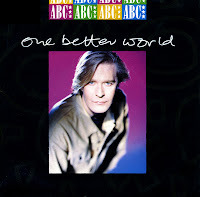 The first single from the album, 'One better world', didn't do much better, peaking at number 32 in the UK singles chart. After I bought the single on the strength of the band's name, I got one of the biggest musical disappointments of my life. The superficial music with equally superficial lyrics was a total breach of everything the band had done before. As an ABC fan I expected beauty and intelligence, but unfortunately I got something that merely flirted with the flavour of the week. House music is a thing of the past now, fortunately, but this painful single remains in my collection. 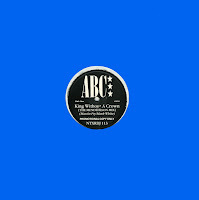 'King without a crown' was released as the third single from ABC's 1987 album 'Alphabet city'. It was, in my opinion, also the best of the three single releases from the album. The whole atmosphere of the song, the arrangement and the pure, straightforward pop was a relief compared to the cluttered sound of the previous two singles. Unfortunately my opinion differered once again from that of the general public. In the UK the single peaked at number 44, in the Netherlands at number 31, making it the worst selling single of the three. After this single, ABC's career once again took a nosedive with ABC's next disastrous album, which ironically was titled 'Up'. 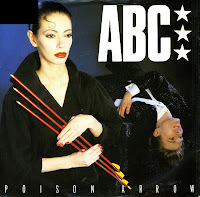 ABC's second single 'Poison arrow' defined the glamorous, baroque sound that would make their debut album 'Lexicon of love' (1982) such a classic album. Written by the band and produced by Trevor Horn, the single peaked at number 6 in the UK and number 13 in the Netherlands. The B-side is an alternate version of 'Poison arrow'. According to the sleeve notes by Martin Fry on the back of this sleeve, it is 'the result of a late night spent with my producer Trevor Horn and piano accompanist'. 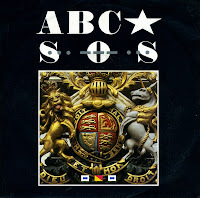 Hard to imagine now, but there was a time when no-one knew the band ABC. They even had to release their debut single 'Tears are not enough' in 1981 to try and catch the public eye. The single version of 'Tears are not enough' was different from the album version. While the album version was produced by Trevor Horn, the single version was produced by one Steve Brown. As far as debuts go, the band did well. The single peaked at number 19 at the end of 1981. The next year the debut album 'Lexicon of love' would be released - it would become a classic album of the Eighties. 'S.O.S.' 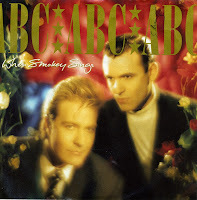 was the second single from ABC's second album 'Beauty stab'. Previous single 'That was then but this is now' was an obvious attempt to break with the band's glamorous pop image, performing loud rock music instead. But 'S.O.S.' seemed like a return to earlier singles. It obviously confused the audience. The single only managed a lowly number 39 position in the UK singles chart. ABC reinvented themselves as cartoon characters for their 1984 album 'How to be a zillionaire'. At the time of release, the band consisted of core members Martin Fry and Mark White, plus Eden (the British journalist Fiona Russell-Powell) and David Yarritu. Eden and David Yarritu were hired for their unconventional look on stage and in videos. 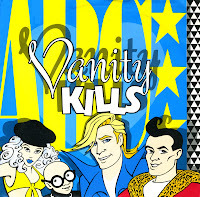 'Vanity kills' appeared in the UK singles chart for one week in June 1985 on number 70. The B-side 'Judy's jewels' is a rarity: it was never released on cd. Released as the fourth single from their debut album 'The lexicon of love', ABC hit number 5 in the UK and number 19 in the Netherlands with 'All of my heart', a beautiful ballad with orchestral backing. It was one of the standout tracks from the album. 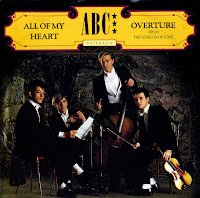 The orchestral theme was visible on the whole of the release: the four members of the band posed as classical musicians on the sleeve and the B-side was 'Overture', essentially a medley of tracks from 'The lexicon of love' played by a full orchestra. 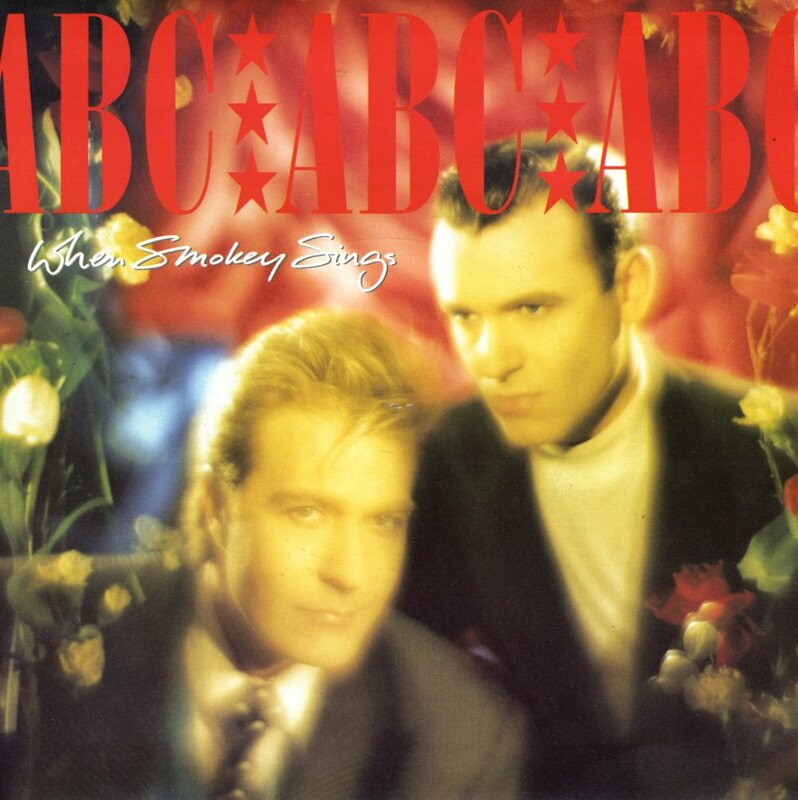 'When Smokey sings' was released in 1987 as the comeback single of ABC. Their last album release, 'How to be a zillionaire', had been less successful and the new album 'Alphabet City' was seen as a return to form. The single was a tribute to Smokey Robinson and other soul singers from the Sixties. Personally, I didn't like the song because the lyrics were way too specific to be able to identify with. Melodically I also thought the song was boring. The only reason for buying it now is to complete my collection of ABC singles. One thing makes this single worthwhile: the single version of 'When Smokey sings' is different from the album version! 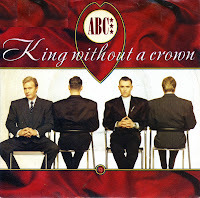 The third single from ABC's successful comeback album 'Alphabet street' was 'King without a crown'. Besides the single, 12" single and cd-single there were also some promo 12" singles doing the rounds. This one-sided disc was one of them. I scooped it up in a record shop in London, some time after its release. It's one of those moments when you know that you've bought something exclusive. The remix on this disc wasn't released commercially, and that makes it very worthwhile. ABC had reasonable success with this single, reaching no. 25 in the UK singles chart in the summer of 1985. 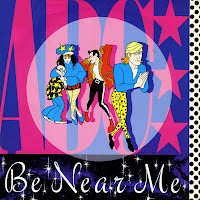 'Be near me' by ABC was released as a double single in a strictly limited edition. 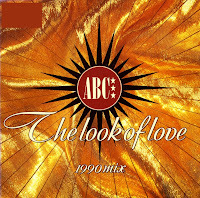 The second single contained remixes of two of ABC's biggest hits from 1982: 'Poison arrow' and 'The look of love'. Previously released as DJ remixes in the USA, those 12" singles were changing hands on the black market for vastly inflated prices - or so the sleeve of this double single claims - and so the record company decided to release them on this double single. For some time, the - frankly wonderful - remix of 'Poison arrow' was played regularly on local radio in my hometown, and I started searching for this double single. I was overjoyed when I finally saw it and had the opportunity to buy it. I regarded it as a crown jewel in my record collection. In a way, I still do. I have to admit that I missed the release of 'Ocean blue' when it happened and only found out about it some time after the fact. I bought the single via mailorder, and the 12" single just appeared out of nowhere in a shop some time after that. ABC's album 'How to be a zillionaire' was not one of their most successful ones, even though the first single 'Be near me' broke the US market. The Ecstacy mix of that track on this 12" single is a bit tedious, though. 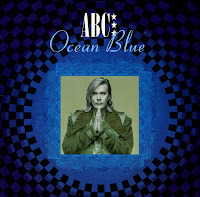 The two versions of 'Ocean blue' are worthy of a spin or two; they're beautifully arranged tracks.